Whipsmart and meticulous, Amy has spent a lifetime collecting the unusually varied skills that qualify her for one very unusually varied job: our Lead Designer. Her love of theater led her to the garden of a beloved college professor she describes as “Martha Stewart’s crazy Victorian aunt,” where she would harvest lavender to make crowns for a Midsummer party every June. 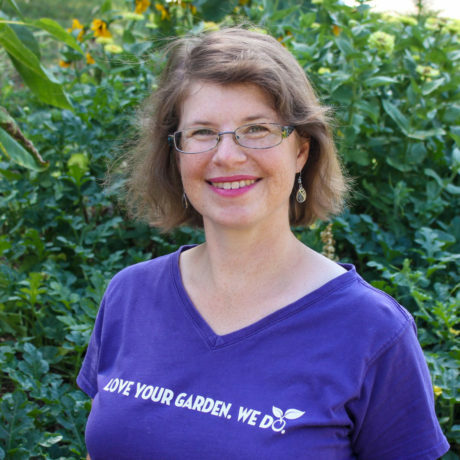 That sparked a passion for gardening she’s incorporated into her life throughout careers spent in design, communications, and retail before putting down roots with Spotts. Her encyclopedic knowledge of plant life and her design background inform her thoughtful garden designs and make her a veritable poet laureate of the garden blogging world.